Patty and her family moved to Sewickley in 2009 when she joined Pittsburgh Social Venture Partners. SVP is a network of partners who give skills and time to support innovative nonprofits in Allegheny County. Patty then joined the Village Theater Company board as acting treasurer in 2012, and she is engaged with the construction and operation of a regional art house for film and live performances. Patty has held leadership positions in garden councils, church organizations and women’s forums. She volunteers with the Quaker Valley School District as she did with the American School in London where her four children attended. Prior to her volunteer work, Patty was employed as an engineer and manager with several manufacturing companies including Exxon, General Electric and Hercules Inc. and worked as a management consultant at Booz Allen and Hamilton. She is a graduate of the Darden Graduate School of Business where she met her husband, Harris Jones, and holds two engineering degrees from Carnegie Mellon University. Joel moved to Sewickley in 1991 and believes he found the best community in which to raise his family of two sons and two daughters. He has supported the community through sports, as coach, referee, secretary, VP and (two terms) as president for Sewickley Area Soccer, and is on the Board of Quaker Valley Recreation Association. Joel continues to serve as referee assignor and mentors newly certified referees, and also plays soccer in an adult men’s league. He has long been a frequent patron of the library and was elected to Friends of the Library in 2007; he joined the Board of Directors of the SPL in 2015. Joel is a founding member of the Sewickley Men’s Garden Club. He graduated from Allegheny College and Mt. Sinai School of Medicine. After completing his anesthesia residency at Allegheny General and obstetric anesthesia fellowship at Magee Women’s Hospital, Joel joined the anesthesia group at Allegheny General in 1991. He moved to UPMC in 2002 and in 2006, joined Butler Anesthesia Associates, serving Butler Memorial Hospital and Benbrook Ambulatory Surgical Center. Joel is an avid skier, oenophile, traveler, and reader and especially enjoys sharing these activities with his family. Larry currently serves as the Manager of Skilled Volunteer Services for the Greater Pittsburgh Arts Council. In this role, Larry manages both the Business Volunteers for the Arts and the Volunteer Lawyer for the Arts programs, matching skill-based volunteers with business and legal expertise with artists and arts groups. He has a track record of executing complex projects through mobilizing cross-functional teams, clarifying issues and advocating solutions. Larry got involved in the nonprofit sector following his retirement from Alcoa after almost 30 years. Larry began his career at Alcoa in the Legal Department where he provided legal advice to several business units and served as lead attorney on many acquisition, divestiture and joint venture projects. He was posted overseas to Alcoa of Australia as its General Counsel. After returning to the US and locating in Sewickley, Larry ultimately moved into the Business Development Group at Alcoa for his final five years, including time spent as the head of Alcoa’s Business Development Group in Beijing. In addition to his work with the Greater Pittsburgh Arts Council, Larry is an active volunteer in the nonprofit sector, including volunteering with the Executive Service Corps and with the BoardsWork! 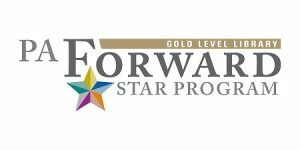 Programs at the Bayer Center for Nonprofit Management where he leverages his legal, business development, and strategic planning expertise from his for-profit career to help nonprofits. Larry also is active at St. James in Sewickley, with the Montour Trail, and is a volunteer trip leader with Venture Outdoors. Joyce, with her husband Joseph and five children, moved from upstate New York to Sewickley in 1974. She had started a secretarial career after high school as a civilian working for the US Air Force Research and Development Center at Griffiss Air Force Base in Rome. After moving to Sewickley, she served the Quaker Valley School District as a parent-volunteer. When her oldest was ready for college, she went back to work full-time as an executive secretary for Mellon Bank Corporation in Pittsburgh, where she retired after 20 years of service. Joyce is a long-time advocate of all the arts and sports in Pittsburgh. She is proud to be a long-time holder of season tickets to both the Pittsburgh Symphony and Steelers organizations. 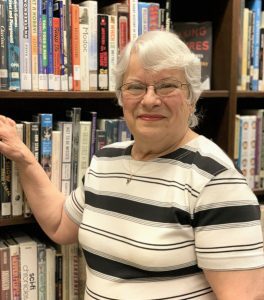 During those years, she continued to volunteer at QVSD and served sixteen years as a School Director, became a Trustee of the Sewickley Public Library Board in 1981, was appointed as their secretary shortly thereafter and has continued to serve for the past 30+ years. Joyce immediately got involved with Friends of the SPL, where she served in many areas and has supported the Friends’ board projects and events ever since. For relaxation she loves reading, good movies, knitting Christmas stockings, and is a member of the St. James English Hand Bell Choir. Sarah is completing her third term as one of the three Quaker Valley School District representatives. 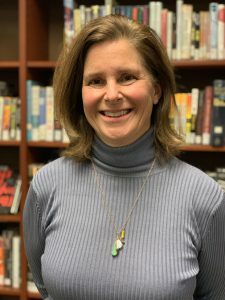 A Quaker Valley School Board member since 2007, she agreed to add the library board position in 2010. Since moving to Sewickley 25 years ago, Sarah has served in a variety of community volunteer roles with the Greater Pittsburgh Food Bank and Northside Common Ministries, refugee resettlement work, various Quaker Valley parent organizations, local Boston University alumni work, and ongoing fundraising for Children’s Hospital of Pittsburgh Cancer & Blood Disorder Auxiliary. An earlier career in higher education fundraising and admissions provided valuable experience at Cornell University, Boston University, and Georgetown. Sarah is a graduate of Boston University Questrom School of Business. She resides in the village with her husband Ed in a quiet house since her three adult children have flown the coop. Jonathan grew up in Leet Township and is a proud member of Quaker Valley’s class of 2001. He has a bachelor of arts degree in economics and history from the College of William and Mary. Since graduating, Jonathan moved to Leetsdale, where he currently resides. He is a commercial real estate appraiser for Newmark Knight Frank. 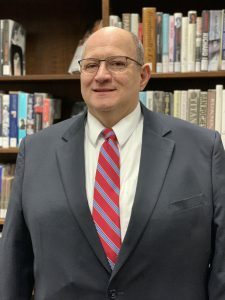 In addition to serving on the Quaker Valley School Board, he represents the district on the Sewickley Public Library of the Quaker Valley School District board and is the chairman of the municipal authority of the Borough of Leetsdale. Jonathan is the chairperson of the policy committee and on the finance and facilities committees. Joseph A. Marrone, PH. 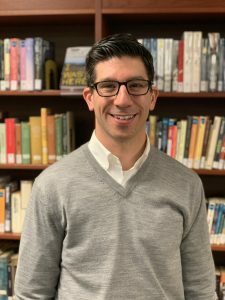 D.
Joe has been in the K-12 environment as a teacher and administrator in the elementary and secondary levels prior to coming to Quaker Valley School District over 20 years ago. 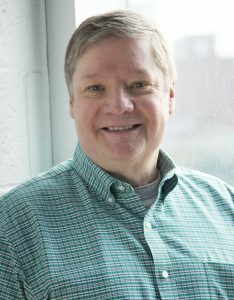 He is a past member of the Governor’s Advisory Council for Library Development; has been a past board member of the county’s Electronic Information Network representing Allegheny County libraries; as well as been part of the development of the ACCESS Pennsylvania at the Pennsylvania Department of Education. 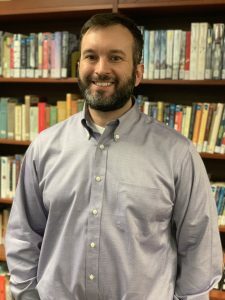 He is presently the Director of Administrative Services for the Quaker Valley School District with duties including but not limited to facilities and technology. Joe is instrumental in assisting in the upkeep of the library facilities and gives selflessly of his time and attention. Before beginning his term on the library’s board of directors in 2018, B.J. served as president of the Friends of the Library board. He has a long history with the Sewickley Public Library going to back to his years of law school study in the historic reference room. A graduate of Denison University with a degree in Political Science and Theatre, and Duquesne University School of Law, he is in-house counsel at PNC Bank, N.A. B.J. resides in Sewickley with his wife and two children. Ann brings her skill set in business leadership and financial expertise to the library’s board of directors. 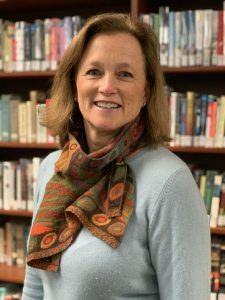 She currently serves as treasurer and previously served the Friends of the Library’s board of directors in the same position for nearly nine years. Ann is an accountant with Child Health Association of Sewickley, and has served in similar roles throughout various community organizations like the PTA of Edgeworth Elementary and Friendship Nursery School. Her career reflects her commitment to assisting community organizations with missions dedicated to education and family. She holds a BS in Accounting and Business Management from Elon University, and an MBA from the University of North Carolina at Greensboro. Tom is a Sewickley native who returned to his hometown with wife Elizabeth and children Emma, Paul, and Lizzie in 2007 following 22 years of education and professional life in Connecticut, California, Washington, DC, and Virginia. The son of a school librarian, he is a lifetime patron and supporter of the Sewickley Public Library. His children, who attend the Quaker Valley Public Schools, continue that tradition with pride. Tom holds a PhD from the University of Virginia, an MEd from the University of California at Berkeley, and a B.A. in Psychology from Yale University. 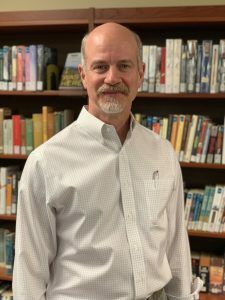 He is a co-founder and principal at Quality Information Partners, Inc., a Virginia-based small business that provides a range of consulting support to the education community. He possesses extensive expertise in education data systems and works to build federal-state-local consensus on data standards and best practices. Tom specializes in the development of data-related publications that are audience appropriate, user-friendly, technically accurate and, above all, actionable in a wide range of settings at all levels of education. As such, he is recognized as the consulting author of more than 20 books, guides, and resources published by the U.S. Department of Education.